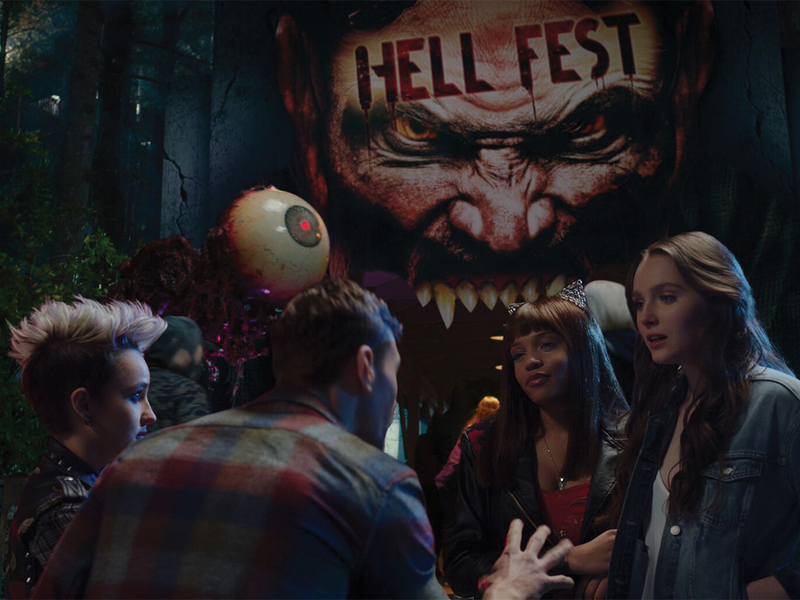 “Hell Fest” was marketed as a twist on the slasher film go-to: instead of a town or the woods, the masked killer would stalk a group of teenagers in a Halloween-themed traveling amusement park (an obvious nod to Halloween Horror Nights, Fright Fest and similar theme parks that pop-ups around this time). Although the change in scenery is new, it is about all the effort the creators of “Hell Fest” put in. The plot is yet another version of the typical slasher film — except worse. The killer is barely creepy, the characters lack personality and the scares are mediocre. 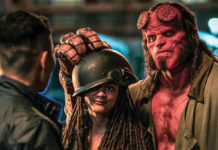 Protagonist Natalie (Amy Forsyth) reluctantly joins her best friend Brooke (Reign Edwards) for a night at Hell Fest, which Natalie’s crush, Gavin, managed to snag tickets to. With the addition of Taylor, Asher and Brooke’s boyfriend, Quinn, we have our co-ed group of soon-to-be victims. There’s no story to add depth to the characters (even the protagonist) besides the fact that on this particular night, they managed to catch the attention of a masked killer. Besides a couple of sexual innuendos they direct at Gavin and Natalie, they’re unfunny and unlikeable. Although it’s mentioned several times that Natalie has been busy — her tortured looks and Brooke’s concern imply that she went through something dark — it doesn’t add depth to her character or add any relevant detail to the storyline. Maybe it’s bad writing, or maybe it’s bad acting (the majority of the characters are newcomers, after all) but the characters are so flat that they don’t inspire any sort of emotion when their eventual end comes. Soon after the group arrives at Hell Fest, the camera pans to an anonymous male, who quickly puts on a mask (that conveniently matches the masks of the park employees) after getting through security. His first target? Two teenage girls who bumped into him. His weapon? A sno-cone knife he stole off a cart. Yeah, not exactly the most spooky murderer. He lacks any sort of origin story that may add more fright to his demeanor. He is no Michael Myers or Ghostface, just your average Joe. Although the vibe it intends to give off feels very “This could be anyone you know!”, the lack of character details create neither fright nor personality. Intrigued by Natalie, the killer focuses on her as his next victim. The next 15 minutes are pretty unmemorable: the group egg on Natalie and Gavin and the masked killer continues to stalk them. 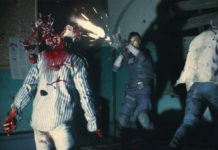 It isn’t until a third of the way into the film that the masked man kills off Gavin with a supersized mallet. As if the sno-cone pick wasn’t ridiculous enough, the red toy-like mallet coming down on Gavin is far from horrifying. Still, it’s probably for the best that he’s out of the picture, considering his scenes with Natalie carried little to no chemistry. He’s so forgettable that the group moves on without him, casually noting his prolonged absence every once in a while. After signing liability waivers, the group moves on to the Deadlands, a portion of Hell Fest where the employees are allowed to touch the guests. Unfortunately, the “scary” side of the park doesn’t translate into the movie: there are minimal jumpscares (one of the few is a fake spider that drops from the ceiling) and, until Asher’s murder, very minimal gore. I was hoping that in the twenty minutes that pass until Asher is murdered, there would be something besides cliches. Comedic relief, character details, anything to make it less predictable would have pushed this movie to decent. But this must not have been included in the director’s checklist of slasher cliches, because there are large gaps in the action that feel like the characters are killing time until they’re actually killed. After a couple more murder scenes, Brooke and Natalie finally outsmart the killer. But this is a cheesy slasher film, and the killer predictably gets away in the end. Although the ending tries to salvage the cliche plot, it ends up being as bland as the rest of the movie. There’s no following scene where the friends rejoice that they’re alive, or even one where they mourn their murdered friends and romantic interests. Just like the characters, the ending lacks any distinguishing element. Verdict: If you’re easily scared or want to see something laughably bad with your friends (only to promptly forget about it), “Hell Fest” is the movie for you. It doesn’t reimagine the horror genre, nor will it give you nightmares, but it marks the beginning of the Halloween movie season. Let’s just hope it doesn’t exemplify the films we can hope to see this year.